I recently upgraded to Windows 8 and have found it strange to get used to, from the Win + I to bring up options for apps to getting used to not having the start menu. However the biggest problem I had was opening the My Music, Photos and Video apps and it not showing ANY of my content. I’d read other users having this issue, but with NAS and other network shares etc but mine is stored on a separate local SATA drive. My Libraries were set to view this information and selecting my Music Library showed all this music that I couldn’t use in the My Music app. There is however a way to fix this! 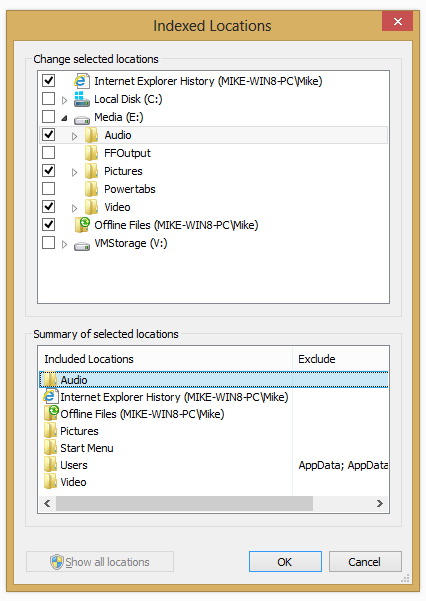 The Music, Photos and Video apps not only use your Libraries to gather media data, it also uses the Windows indexing tool. Now considering my media was on another drive and a while back (for whatever reason I cannot actually re-call) I had disabled the Windows Indexing from looking at my other drives so when I upgraded from Win7 to Win8 this area had never been indexed. 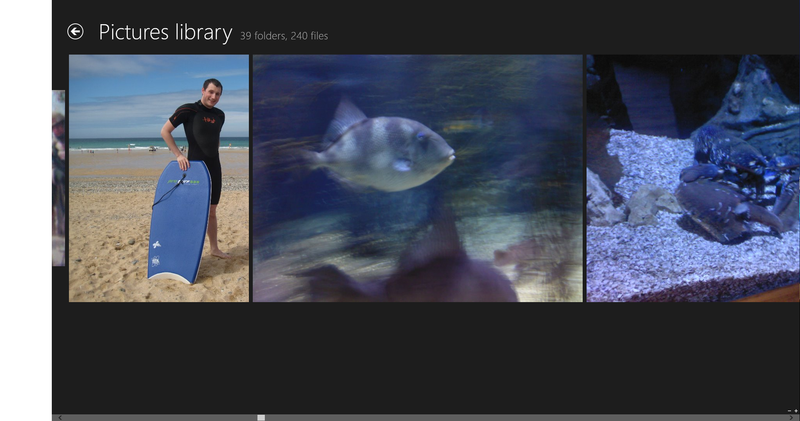 So I went into Control Panel>Indexing Options>clicked on Modify and selected these extra folders. I then went into Advanced and kicked off a rebuild to hurry things along and start fresh. Looking after several thousand mailboxes, public folders and distribution groups can sometimes make it difficult for you to keep track on where certain email aliases are assigned. Now mailboxes, distribution groups and mail contacts are easy as you can add a filter in the Exchange Management Console to find these, however the same cannot be applied for Public folders. This command will bring up the name of the public folder along with the parent path so you know exactly where the public folder lives by showing the folder name and the parent path so you can navigate to the folder in question. Now that deserves a beer! Recently I had two issues to sort out in the office. The first was a few users from a group company that were having issues with some powerpoint files that used a truetype font. Powerpoint would get halfway and then crash every singletime. The second issue was in all Microsoft Office products where users would go to create a PDF by using the Save As… feature instead of using the print to option and using cutePDF or the Adobe PDF printers. Both these faults started happening around the same time (Mid November) but I treated these as seperate issues to start as they came from different companies. I could replicate both errors on my PC and I didn’t have any pdf printers installed so it wasn’t an issues with either of those products. I decided it might be a Microsoft Office patch and went through each one and still no fix in sight.